Looking for a cute and casual dress to throw in the warm weather? These fabulous summer picks are totally versatile: you can dress them up or down as needed simply by adding heels or flat sandals, and appropriate accessories. In chilly weather, throw on a denim jacket or a brightly colored cardigan for a stylish look that's comfortable. 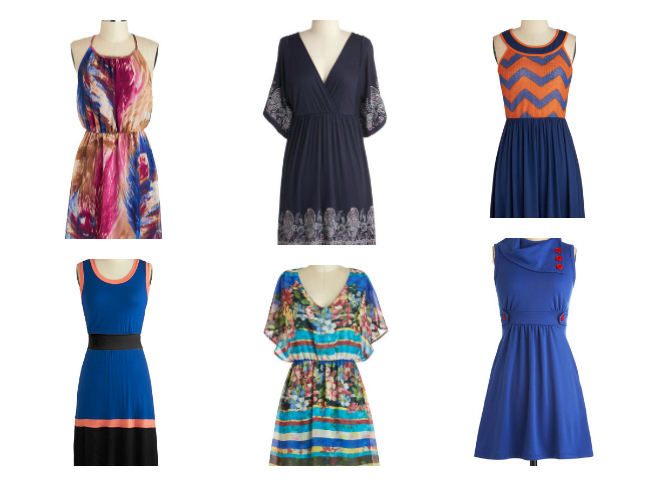 Check out our favorite modern, and vintage-inspired dresses of the season and get shopping! We love these fashions because they're fresh and unique. Modcloth tends to carry carries modern and vintage-inspired apparel for a women that's always on-trends while avoiding the cookie-cutter look of bigger designers, so you know none of your friends will weiring your outfit. Aso, these deals are so great, you might even be able to get two or three to pack in your weekend bag!